I am posting this page on behalf of many students and friends of PHAS3 who have suggested it to support our school that has helped so many people during its 12-year history. 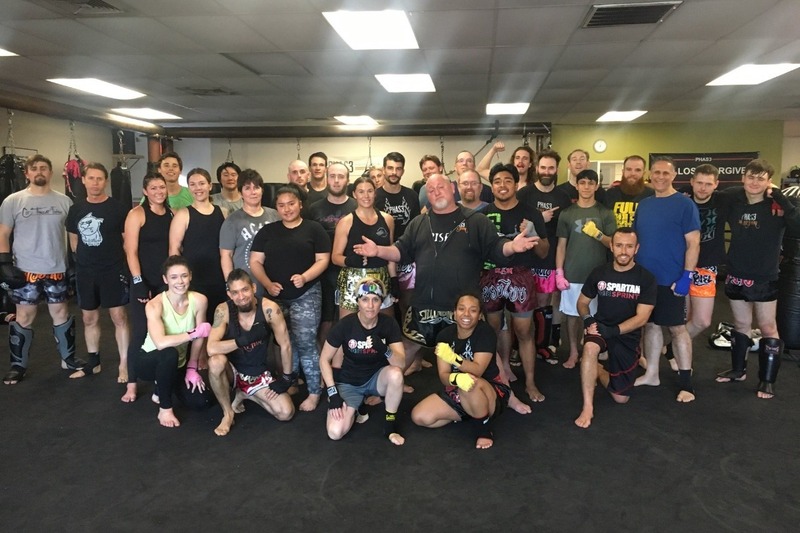 PHAS3 is so much more than a place where you get in shape and learn martial arts. This school has truly transformed many lives. For every one of us who has been welcomed as family, and received the tireless commitment to help us and our children become the best in ourselves, we are at a pivotal moment where we can show our appreciation and ensure the great gift of PHAS3 continues to brighten lives and our community. During the night of Friday, April 6, 2018, a combination of factors caused the roof of the school to cave in. Rainwater then entered through the damaged ceiling, causing further water damage to the floor and equipment. The physical location of the school and most of its equipment was basically destroyed. Sensei and a handful of students were able to remove training pads and a few other items before the building was sealed. All other equipment and supplies are expected to be lost. The programs will be affected and of course the staff will be facing great challenges during the disruption and expenses of moving to a new location. The Brown family is determined to continue with the school through this hardship. However, there will be challenges ahead that you can help with. Check the PHAS3 website for the most current school updates. PHAS3 plans to continue all classes as soon as possible. 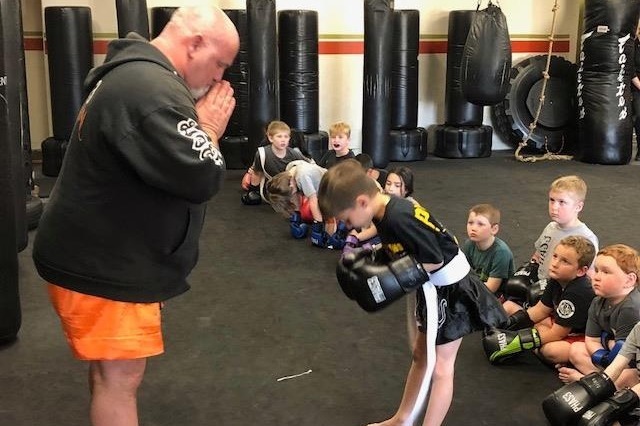 Muay Thai classes will begin first at a temporary location starting Wednesday, April 11, and at a new permanent location as soon as possible. Judo classes will start later. Details to follow. Due to their special location needs, the After School program and Summer Camp are closed until further notice. PHAS3 will be facing many immediate and long-term financial challenges. Any amount you can donate will help towards the many expenses created by this unfortunate event. Payroll . All great PHAS3 staff will be affected by the loss of income during this time. School Income. The school's income will be impacted greatly, mostly due to the loss of the After School and Summer Camp programs. Relocation. There will be expenses to set up a temporary space. The greatest expenses will be getting back up and running in a new location, something we all want to keep this amazing asset in our lives and community. There will be countless expenses that cannot all be calculated given it took Sensei and Stephanie 12 years to build up to this point. Of course there is all the training gear, equipment, and office equipment and supplies. When we have a new location, there will be many opportunities to help prepare it to be our new home. We will welcome anyone who can help with painting, installations, carpentry, (even welding to put together the new bag rack) and other skills. Thank for your supporting PHAS3 during this time. This campaign set up by PHAS3 student, Kurt Hoffmann, with the approval of PHAS3 owners Sensei Ben and Stephanie Brown. All funds will go directly to PHAS3 and the rebuilding of the school. Check the PHAS3 Martial Arts website for the most current school updates. Here is an email that went out this morning (April 16) from the Browns which I wanted to share in case any of you are not on their email list. Thank you again for your generous support to help get our school back. We wanted to reach out after our loss to let you all know we are back in business and stronger than ever. For those of you who don’t know, on April 7 our building suffered huge structural damage and we were forced to move out. We have worked day and night to find an alternate facility to train our team. 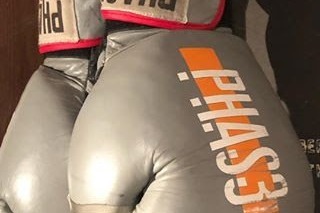 So today we are happy to announce that PHAS3 is back in business. Through the support of Gofundme (sponsored by Kurt Hoffmann) and tremendous community support we are able to rise again 10 days later! Starting Tuesday we will be starting Adult and Children’s Muay Thai classes. See here ( http://www.phas3martialarts.com/training-schedules) for the new schedule. This is going to be an evolving process, but we are feeling proud that on Tuesday we will be returning to what we love to do! The PHAS3 family will be training together again. 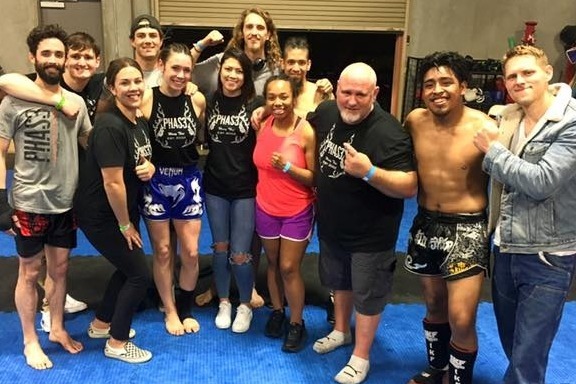 Considering the hardships we have suffered we want to commend our PHAS3 Fight Team for pulling together and stepping up last weekend - even without a gym! They fulfilled their commitments to preset competitions and did amazing. 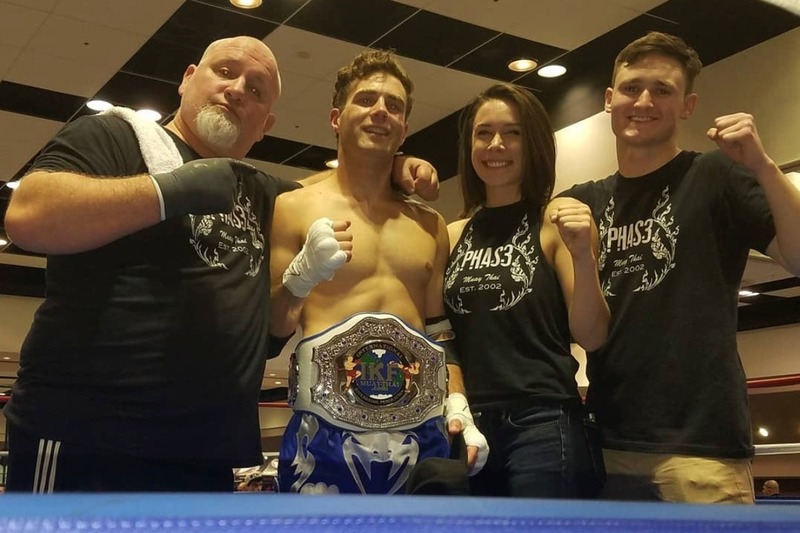 7 competitors gloved up and we came away with 5 wins, and this includes our NEW California Kickboxing Champion Belt holder Jake Haas! We have more competitions in the near future for both children and adults, and we expect to bring home more hard-fought wins. After all of this we are reminded that PHAS3 is not about a building or location, it is about our community. It is about our people. We have an amazing family and we thank you all for your continued support. We can’t wait to see you all back on the mat this Tuesday. From our heart….we than you! First I want to thank everyone for the incredible outpouring of support. This has been an incredibly challenging week and all the support - from the donations on here, everyone who has jumped in to help in ways big and small, and just all the messages of encouragement - has been incredibly comforting, inspiring and helpful to the Browns and PHAS3 to get the school back on track. The schedule has been adjusted so please check the website for current class times. 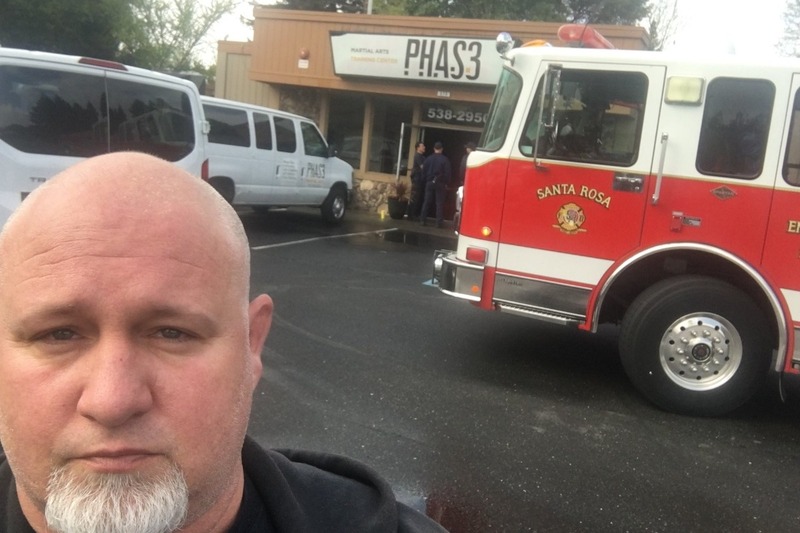 Also, this detour has not deterred the PHAS3 Fight Team from competing today in Santa Clara. Let's all think positive thoughts of support for Jake, Wesley, and Justin. Thank you all again for your support and please help PHAS3 by continuing to spread the word about the updates and need for help.